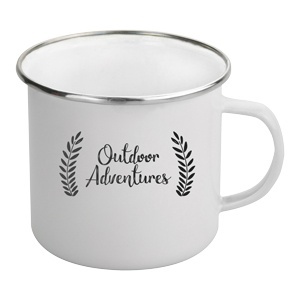 The Enamel mug is perfect for camping, hiking and any bistro restaurants. With the mug being manufactured from steel and thicker enamel for extra durability, it would be an impressive feat to chip or break. Please note: the print is limited to one colour direct at this time.